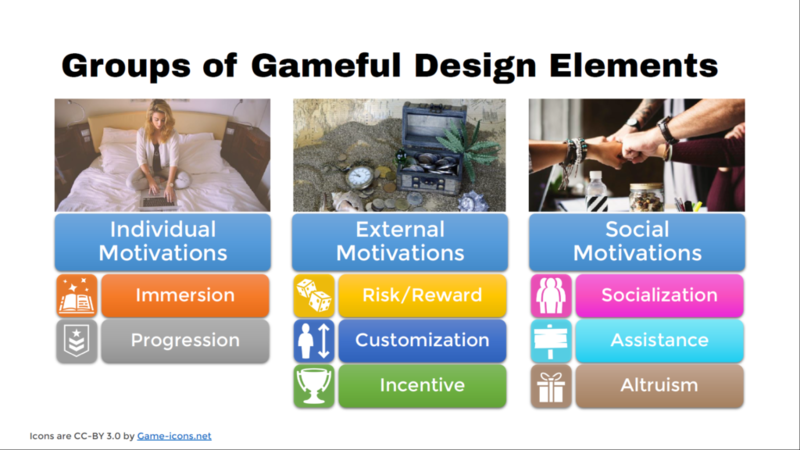 Groups of gameful design elements by user preferences. 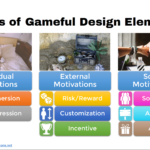 Now, let’s dive into more detail and look at the complete list of gameful design elements that were included in each group. 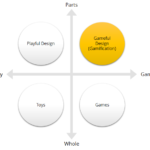 This information provides valuable data to understand user preferences and aid designers interested in creating personalized gameful systems. 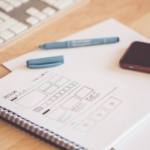 This group represents the user’s interest in their own experience with the system. Mystery Box: The system leaves some things unexplained and motivates me to seek the answers through curiosity. Easter Eggs: Finding surprise content deeply hidden inside the application or game’s structure. Theme: The system is described by means of a real of fictional central theme. Narrative or Story: The system tells a story and lets me be part of the story through my actions and decisions. Levels: Being informed how much I have progressed in the system and how much I still can go to reach the top. Meaning or Purpose: Understanding that that my effort will fulfill a meaningful goal (real or virtual) or feeling I am part of something greater than myself. Progress Feedback: Having a clear understanding of how far I am and what I need to do to achieve the next level or complete the next achievement. Learning: Being invited to learn new skills that may be useful inside the system or in real life. This group represents the user’s interest in earning external incentives and tailoring the system to them. Access: Access to advanced system features is only available to users who have contributed or achieved more. Lotteries: Earning rewards based on mere lucky or chance. Boss Battles: Test everything I have learned and mastered in one epic challenge. Boss battles are often more difficult than regular challenges and may require a group to overcome. Challenges: Tackling difficult tasks to test my knowledge or skills. Avatars: Being represented in the game or system by a customizable digital character (an avatar). Customization: Customizing my experience and how I present myself to others. Points: Receiving points or experience for completing specific tasks. Points may be used to redeem rewards or towards progression. Virtual Economy: Earning virtual currency and using it to buy virtual or real goods. Badges or Achievements: Receiving recognition for accomplishing meaningful goals inside the application or game. Certificates: Receiving certificates for completing special challenges or achievements. Collections: Completing collections of items or achievements with special meaning in the application or game. Rewards or Prizes: Receiving rewards or prizes by completing specific tasks, goals, or achievements, or by progressing to specific levels. Unlockable content: Unlocking special content after carrying out some special effort or exploring different paths. Quests: Being invited to complete specific tasks to achieve meaningful goals. 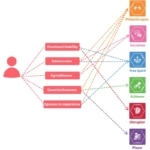 This group represents the user’s interest in relatedness and social interactions. Social comparison: Comparing my performance with others and finding out how I rank among my friends or everyone else. Social competition: Challenging and proving myself against others into specific tasks. Social networks: Connecting with as many other users as I want through an accessible social network. Leaderboards: Comparing myself to others and show my status to others. Friend invite: The system easily allows me to invite others into it. Social discovery: Finding others through name search or based on similar interests or status. Trading: Trading collected items or rewards with other users. Scarlet letter: The system lets other users notice when I am stuck on a level or task, thus encouraging me to keeping moving forward. Glowing choice: If I am stuck too long on a problem, the system provides free hints or clues to help me move forward. Beginner’s luck: I am helped to achieve a high rate of success in the first few tasks or quests. Signposting: Just-in-time cues show me the next possible actions or paths to follow. Anchor juxtaposition: Being given the choice to achieve something (e.g. leveling up or getting a reward) either by completing several tasks or by paying money (virtual or real). Power-ups or Boosters: Receiving a limited-time advantage or power to make a section of the game easier or allowing me to achieve otherwise impossible goals. Humanity Hero: Feeling that playing a game or using a system will let me collaborate to a worldwide cause. Personalization: The system learns about me with time and begins to recommend new activities or products that I might enjoy. Free lunch: Being rewarded with free boosters to make me feel more competent. Knowledge sharing: Sharing my knowledge with other users in forums, questions and answers, or likewise features. Gifting: Giving gifts or sharing items with other users to help them achieve their goals or to express our relationships. Innovation platforms: Being able to suggest and discuss new features to the application or game. Development tools: Developing add-ons or plugins to add new features or content to the application or game. Administrative roles: Acting as a system moderator or administrator, with increased responsibility to care for and help others. Voting mechanisms: Voting or presenting my opinions on the directions of the application or game. Exploratory tasks: Being free to explore the application or game and discover new ways of interacting with it. Creativity tools: Creating my own content and expressing myself freely. Meaningful choices: I can choose between different ways of completing tasks or different rewards and the choices can lead to different results. 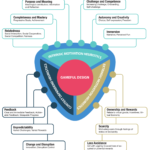 Each person will have their individual preferences for each one of these eight groups of design elements. However, our study also investigated the influence of gender, age, personality, and user types for the participants’ preferences. We will talk more about this in the final part of this post series! Originally published by the HCI Games Group.